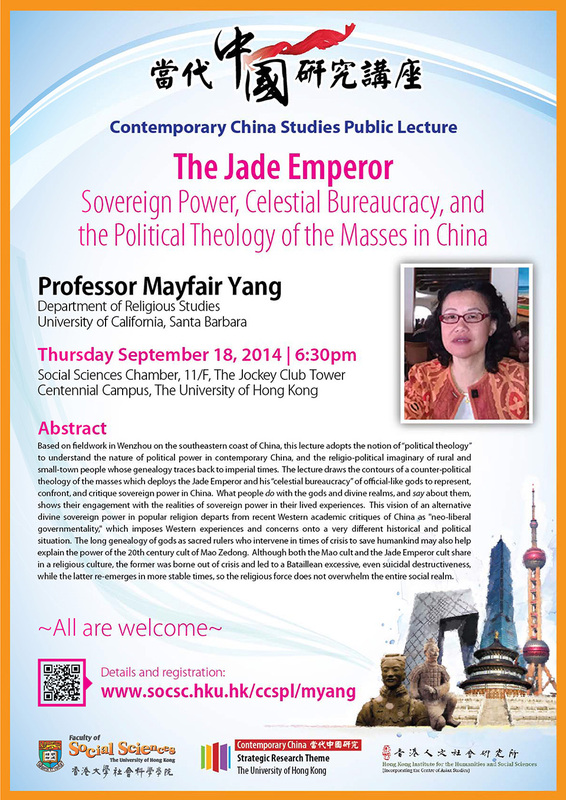 Based on fieldwork in Wenzhou on the southeastern coast of China, this lecture adopts the notion of “political theology” to understand the nature of political power in contemporary China, and the religio-political imaginary of rural and small-town people whose genealogy traces back to imperial times. The lecture draws the contours of a counter-political theology of the masses which deploys the Jade Emperor and his “celestial bureaucracy” of official-like gods to represent, confront, and critique sovereign power in China. What people do with the gods and divine realms, and say about them, shows their engagement with the realities of sovereign power in their lived experiences. This vision of an alternative divine sovereign power in popular religion departs from recent Western academic critiques of China as “neo-liberal governmentality,” which imposes Western experiences and concerns onto a very different historical and political situation. The long genealogy of gods as sacred rulers who intervene in times of crisis to save humankind may also help explain the power of the 20th century cult of Mao Zedong. Although both the Mao cult and the Jade Emperor cult share in a religious culture, the former was borne out of crisis and led to a Bataillean excessive, even suicidal destructiveness, while the latter re-emerges in more stable times, so the religious force does not overwhelm the entire social realm. Mayfair Yang (PhD, UC Berkeley) is a cultural anthropologist interested in the intertwined processes of religiosity, secularization, and state operations in modernity, post-colonial, and Communist conditions. Areas of research and teaching: Chinese religions & secularization; critical theory; China Studies, sovereignty and state power; gender and feminism; media studies; cultural approaches to political economy. 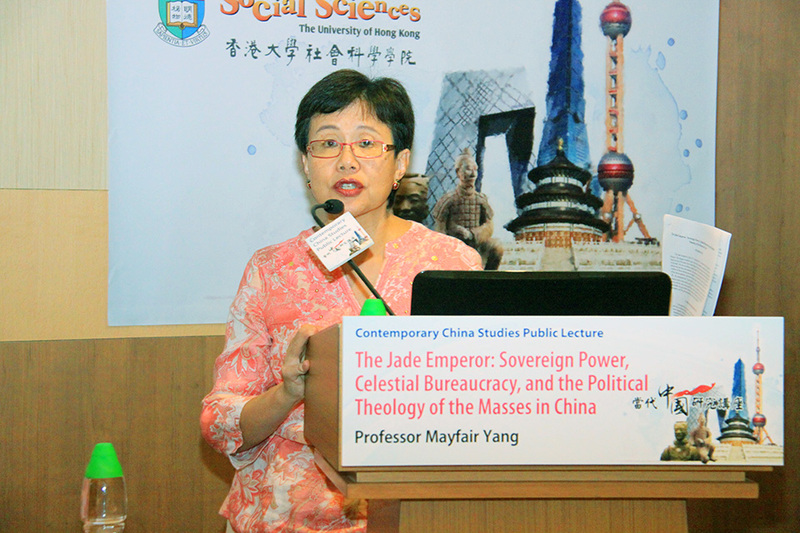 Professor Yang has assumed teaching, research, and visiting scholar positions at the University of Michigan, University of Chicago, Beijing University, Academia Sinica in Taiwan, Institute for Advanced Study in Princeton, and the Center for the Study of World Religion at Harvard University. 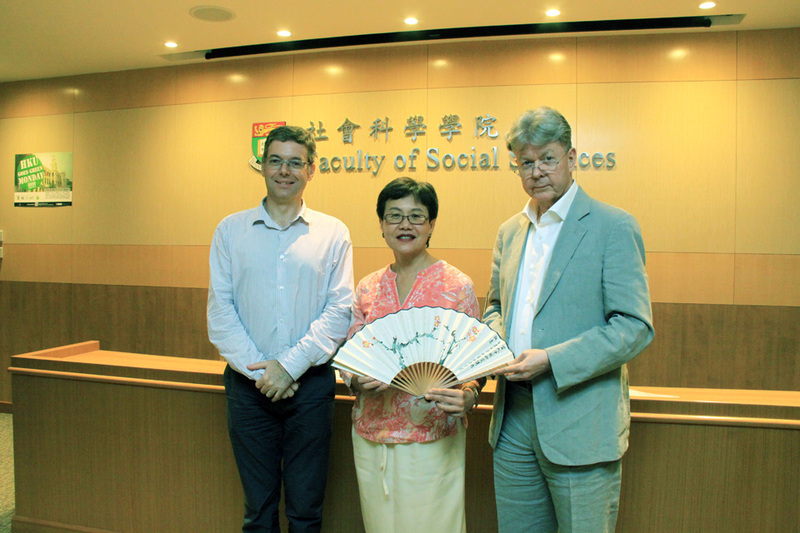 She was the Director of Asian Studies at the University of Sydney in Australia 2007-09. She is the author of Gifts, Favors, and Banquets: the Art of Social Relationships in China (Cornell University Press, 1994), and editor of Spaces of Their Own: Women’s Public Sphere in Transnational China (1999) and of Chinese Religiosities: Afflictions of Modernity and State Formation (2008). She is currently completing a book manuscript on Re-enchanting Modernity: Sovereignty, Ritual Economy, & Indigenous Civil Society in Coastal China.